Great interview! Loved learning more about Angela and Becca and hearing about the process that went into THE EMOTION THESAURUS. Just amazing. You guys rock! Aww, thanks so much! Ange and I are always happy to talk about ourselves, lol. Thanks Angela and Becca for sharing about your new book and how you became blog partners. I own Emotion Thesaurus, so I won't enter the contest. Great to see their book featured here! Congratulations Teresa! Hope you enjoy The Rock of Ivanore. Congrats to all the winners! Yay for the Emotion Thesaurus! It's a great resource. I already have a copy, so no need to enter me in the giveaway. This book is such a brilliant idea! Congrats to Angela and Becca! Big fan of the Bookshelf Muse Blog! Well done, ladies. 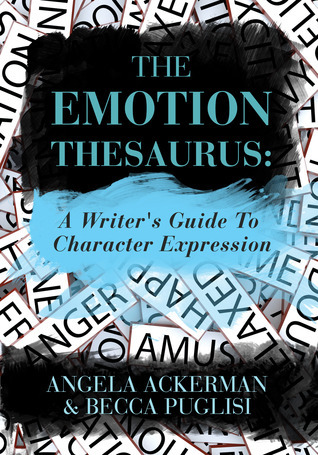 The Emotion Thesaurus looks like a treasure! Been reading and learning from the Bookshelf Muse for quite awhile now! I loved hearing more of the personal stuff from both Angela and Becca. I agree - it was good to read more about their backgrounds and how the book came about. Congratulations, ladies! Natalie, you and Casey are so awesome to host us today. I feel so fortunate to have found Becca, and we work so well together it is a delight to talk about it! Thanks everyone for the kind words! We are both so happy to know the Emotion Thesaurus is helping so many. All of you, and all writers we know, have supported and helped us grow! If we can give back in some small way, that's the least we can do, right? Hope everyone has an awesome writing week. :) Let's get those stories out there! I'm also a big fan of the Bookshelf Muse! Definitely ordering the book and mentioning this on Twitter! I just came from a blog that was praising this book. Coincidence? I think not! Thanks for the giveaway! I love their blog and I keep hearing about the Emotion Thesaurus! Who couldn't use that to help with writing? Thanks for the great interview ladies! 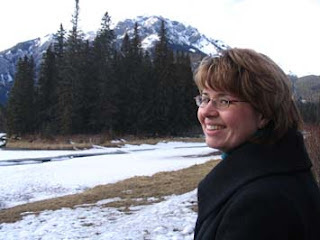 what a great interview and giveaway!I love the emotion thesaurus! Don't enter me in the contest - because I already have a copy and love it! Great interview! I'm off to Tweet this contest. Thanks for the tweetage and kind words about The Emotion Thesaurus. Honestly, it's people like Natalie and Casey and all of you, helping us spread the word, that have made The Emotion Thesaurus a success. Thanks a million! YEAH to Angela and Becca! Great interview. I already have a copy of the thesaurus, so there's no need to enter me. What Becca said. Truly, it is the support of writers that has made this book so popular. Thank you so much for sharing this resource with others! What a great interview! I've heard so many good things about The Emotion Thesaurus. Would love to win a copy, thanks! Fantastic interview girls! I love their blog too. The Emotion Thesaurus is truly a great resource. I own one but would love ot win another so I can lend it out to students. Thanks for the great interview! Wonderful interview. Thanks for that and for the giveaway! I'm thrilled to hear about this book. With the teaching I do about emotion in writing, this will be a great resource to show people. Thanks for the interview and for the giveaway opportunity. This looks like such a great tool for aspiring authors. Thanks to all of you for making a copy available to us. I'll definitely be keeping my fingers crossed till the Aug. 18th draw. I don't know how I survived without The Emotion Thesaurus. I love it. I'm glad Angela and Becca self pubbed it. I couldn't imagine having to wait another two years + to get my hands on it. Thanks for the awesome interview, ladies! This was a great interview. I enjoyed learning more about Becca and Angela. I was really intrigued by how you went about your collaboration. AWESOME interview! Love Ange-Becca-The Bookshelf Muse! And love reading all your interviews. I learn something new in each one! Great interview- Going over to check out their blogs now. Thanks for sharing! Great interview! If anyone reading this comment is not a follower of Angela and Becca's blog, they need to check it out. LOTS of great information! I already have a copy of THE EMOTION THESAURUS, so no need to enter me in the giveaway. Love you girls! It was wonderful learning more about the two of you and the creation of the thesaurus. It really does fill a great need and I hope it does amazingly well! Angela and Becca are both AMAZING, and their ET helps me out all the time. When I'm stuck on how to show an emotion, their blog, and now their book, is my go-to place. Super resource. Great giveaway. Thanks Angela and Becca. Natalie, you're the best. I've been following the Bookshelf Muse, but I love the interview to telling me how the book is different. It would be great if I won it, but I like being able to flip back and forth easily, so I also need a print copy! Going on my Amazon wish list. Thanks! I'll have to head over to their blog and check them out. That book sounds great, I've been wanting something like that. You're right, Casey. Both the book and their blog are fabulous resources. It makes you appreciate how difficult it really is to write emotions well. This is definitely a must have for any writer. This looks like such a great book! It would be a great addition to my library! What an awesome idea for a book! Already got it on my Amazon wish list! Ooo, I would love a copy of the Emotion Thesaurus. I used the website extensively for my last manuscript. Great interview! Great interview! Love the Emotion Thesaurus, and really enjoyed learning more about how it came to be. Awesome! I was just mentioning this on another blog since they were promoting the same book! I so badly want a copy! Great idea ladies! The blog posts are pure emotional brainstorming, a jumble of what occurred to us as we thought about each emotion we profiled--visceral reactions, thoughts & gestures. -- This is very interesting. this book totally rocks! And again, a very nice and helpful interview. Very interesting! The Emotion Thesaurus sounds exactly what I've been looking for. I keep finding myself using the same physical and emotional cues over and over and am struggling with appropriate variety! The Emotion Thesaurus sounds awesome. I,too, seem to reuse the same cues. I've used the Emotion Thesaurus quite a bit on my WIP and would love my own e-copy. Thanks for the opportunity and the great resource. heathercq(at)verizon(dot)net. Angela and Becca are awesome! 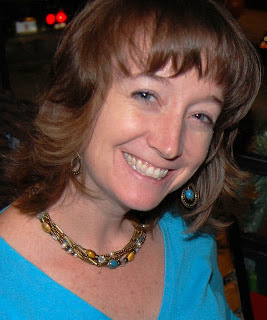 I'm so delighted to learn about your blog and your book, Emotion Thesaurus. Already the blog has been such an inspiration and I am very hopeful to win this e-book. Thank you for providing such great resources. Would love a copy of this! Fantastic blog!